Tarek Chemaly: Khoury Home - Red Week by way of nostalgic song references. Khoury Home - Red Week by way of nostalgic song references. 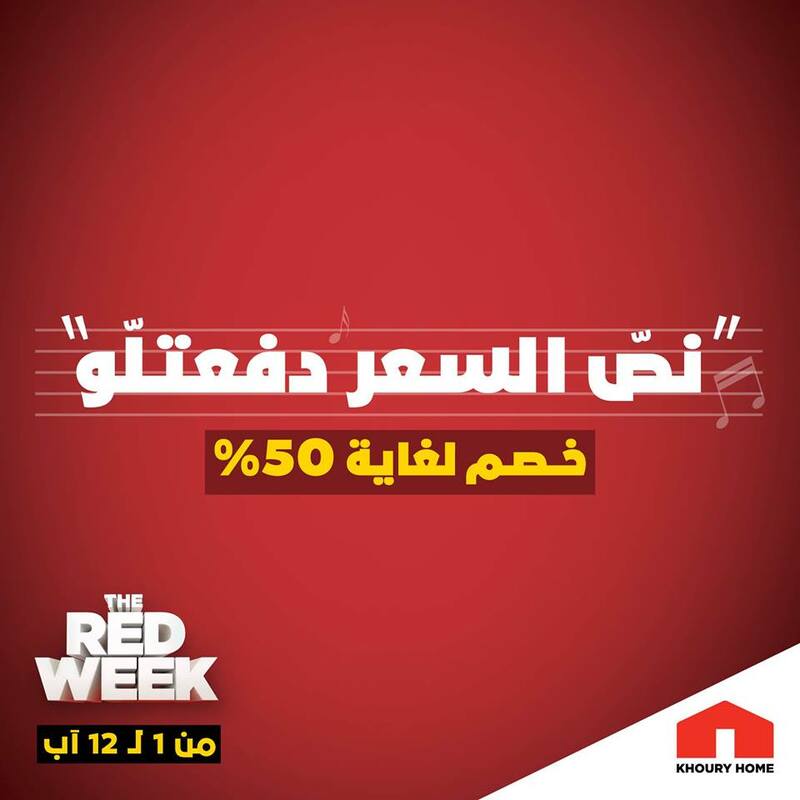 Khoury Home is going for its discount Red Week via old songs. One of the first slogans goes "ta3a ne2som el se3r" (let us cut the price) with a direct reference to Walid Toufic's 80s hit "tigi ne2som e amar" (let us cut the moon) and the second line is "nos el se3r dfa3tello" (I paid him half the price) again a reference to Nawal El Zoghbi's 90s hit "nos el alb rsamtello" (I drew him half a heart). I thing they are funny and catchy, but I think these ads go to older audiences as newer ones might not be exactly aware of hits from the 80s and the 90s... Then again not sure what the youngster's new musical influences are!